For more severe drainage problems we can offer CCTV drain surveys. Whatever the problem or for a more detailed description on our drainage services call us now on 01384 848 235. We can usually get to you in the same day and we are available 24 hours a day, 7 days a week. 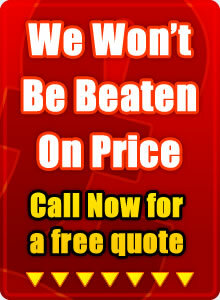 At Drainage Stourbridge we only offer premier services. Our drainage consultants are experts in domestic drainage such as blocked drains caused from baths, showers and toilets. Where required, we will often use drainage CCTV otherwise known as CCTV Drain Surveys for sewage or underground drainage. Having problems with your drains? If you're in Stourbridge or the surrounding area then give Drainage Stourbridge a call! We'll send one of our local drainage consultants out to you as soon as possible to help and fix your blocked drain or drainage problem. Blocked Drains are a hazard, unhygienic, and can cause households or businesses endless problems. We specialise in blocked drains by using the latest drain unblocking equipment, drain rods and specialist drain unblocking tools. Drainage Stourbridge may use drain unblocking chemicals to ensure your problem will be resolved. Most drainage systems at some point will encounter drainage problems. Many drainage problems are as a result of discharge caused from day to day domestic drainage and if not treated in time can cause infection. Drainage Stourbridge offer drain cleaning solutions to help remove your domestic drainage problems. A common method we use for drain cleaning to help solve blocked drains is drain jetting. We use the very latest drain jetting equipment to ensure the job is done efficiently and effectively. 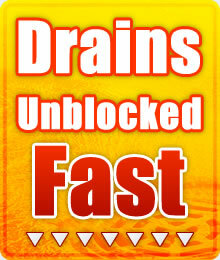 Drain jetting is an effective way of avoiding future drain repairs caused by severe blocking. If you are suffering from a collapsed drain in Stourbridge or the surrounding area then call us at Drainage Stourbridge now. We can offer immediate drainage solutions for baths, showers, sinks, toilets, urinals and pipe or man hole covers using up-to-date drainage products and drainage regulations. Depending on the design and construction of your drainage systems, underground drainage will often require CCTV drain survey equipment to be used. This is common practice throughout the drainage industry. Call Drainage Stourbridge to be given an idea of CCTV drain survey costs.